As a follow-up to a meeting about the sector's role in impacting public policy, government-relations expert Sean Moore was asked to prepare a discussion paper with recommendations about improving the sector's ability to be a "player". Copyright 2006 Muttart Foundation. All rights reserved. 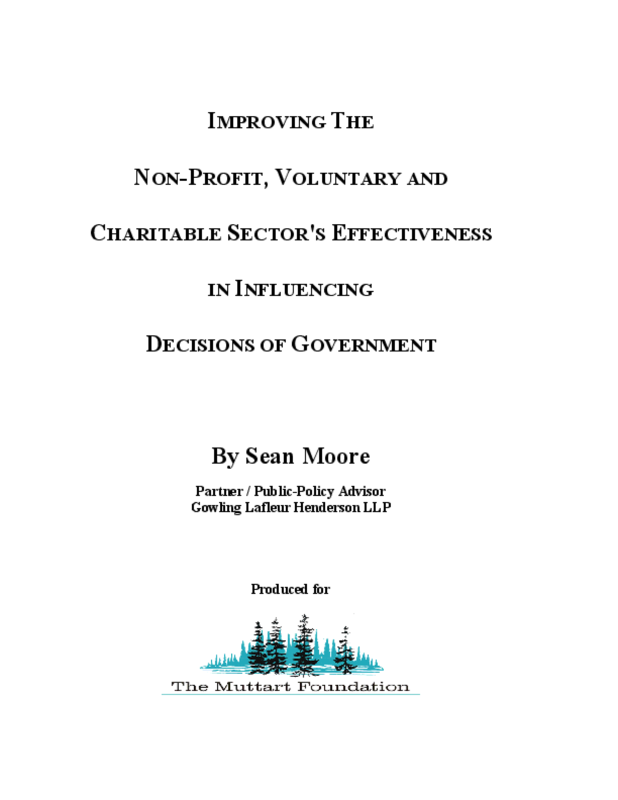 Title: Improving the Non-Profit, Voluntary and Charitable Sector's Effectiveness in Influencing Decisions of Government.